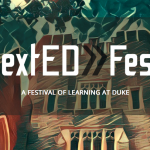 Throughout October 2017, Duke Learning Innovation hosted Duke NextEd Festival, a series of events celebrating learning at the university. The festival featured over 40 events created with nearly 30 partner organizations attended by 400+ students, faculty, staff, and guests. James DeVaney explained how universities can better engage with the public. 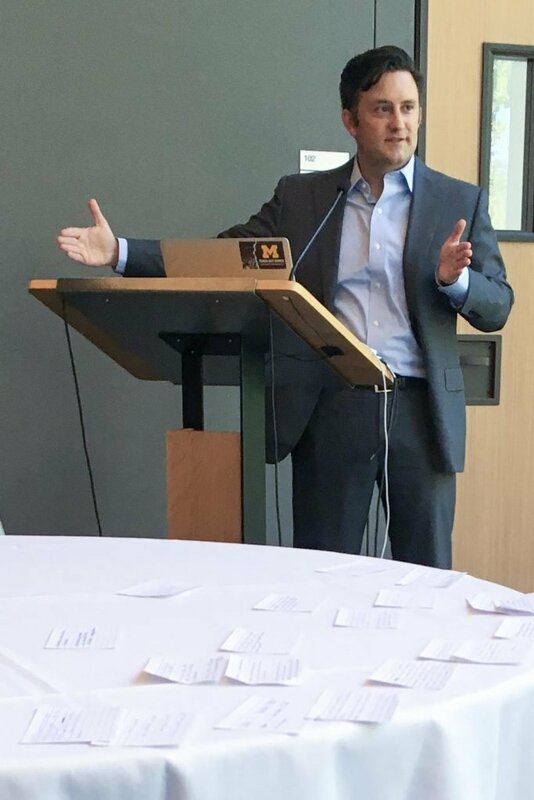 NextEd kicked off with a talk by James DeVaney, Associate Vice Provost for Academic Innovation at the University of Michigan. 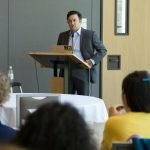 In his talk, “Academic Innovation and the Compassionate Public Square,” DeVaney argued that higher education institutions can help elevate public discourse by creating “compassionate spaces” for two-way engagement with public audiences. See the full text of his remarks. Cathy Davidson told us how to revolutionize the university. Cathy N. Davidson gave a talk about her new book, The New Education: How to Revolutionize the University to Prepare Students for a World in Flux. She was joined in conversation by Edward Balleisen, Professor of History and Public Policy and the current Vice Provost for Interdisciplinary Studies at Duke University. 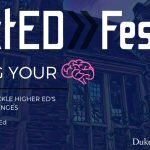 The Duke community connected with local ed tech entrepreneurs. Duke’s first EdTech Demo Night brought together Duke students and faculty and the local startup community to pitch ideas and network. 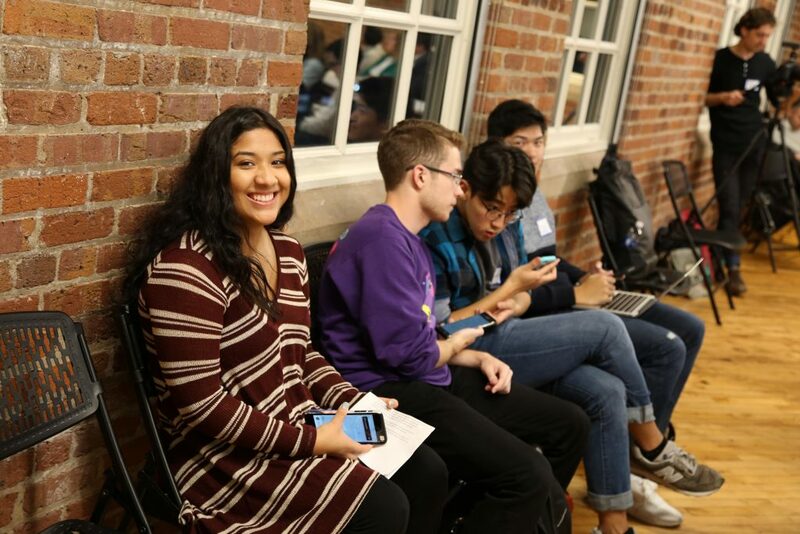 The founders of three local companies–LearnPlatform, Talented, and WarpWire—demonstrated their products and talked about how they got their start in the industry. Afterward, attendees networked and enjoyed beer donated by Durham’s Fullsteam Brewery. 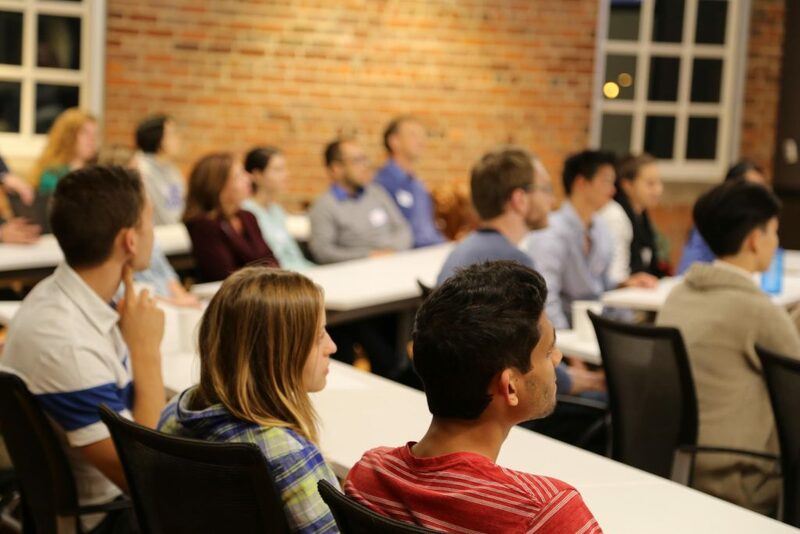 The sold-out event took place at The Bullpen, an event and co-working space in downtown Durham operated by Duke Innovation & Entrepreneurship. 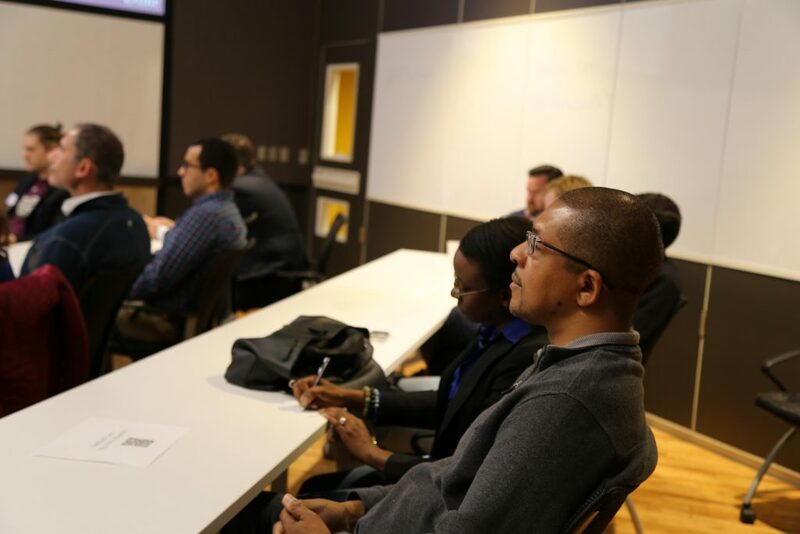 Faculty and grad students learned how to teach inclusively. Sixty Duke faculty, instructors, and graduate students participated in a hands-on workshop on structuring the classroom for inclusive teaching. The workshop was presented by Kelly Hogan and Viji Sathy, both of the University of North Carolina at Chapel Hill. They brought their expertise in techniques designed to elicit equity in the classroom. Maya Escueta presented research on how administrators really choose ed tech products. Maya Escueta, a Duke Sanford alumna and doctoral student at Teachers College, Columbia University, presented her research on how higher education administrators research and select ed tech products for their institutions. 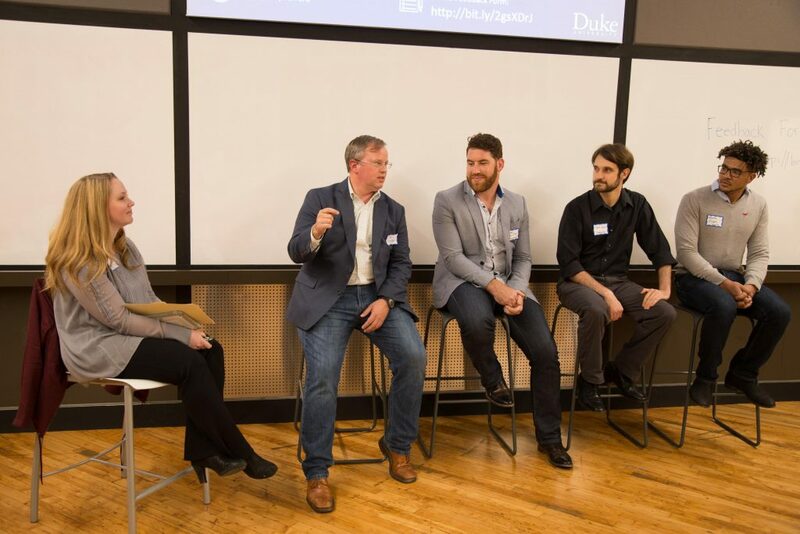 A panel discussion on the future of online education at Duke featured experiences instructors and administrators sharing their experiences and predictions. Faculty tried out tech tools and services. 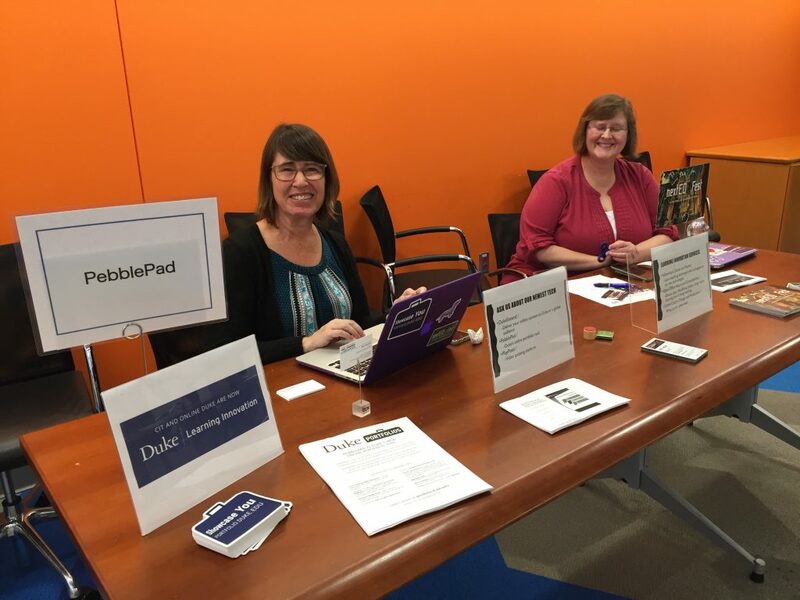 To close out the festival, we joined Duke’s Office of Information Technology at the Faculty Tech Fair at the Innovation Co-Lab. 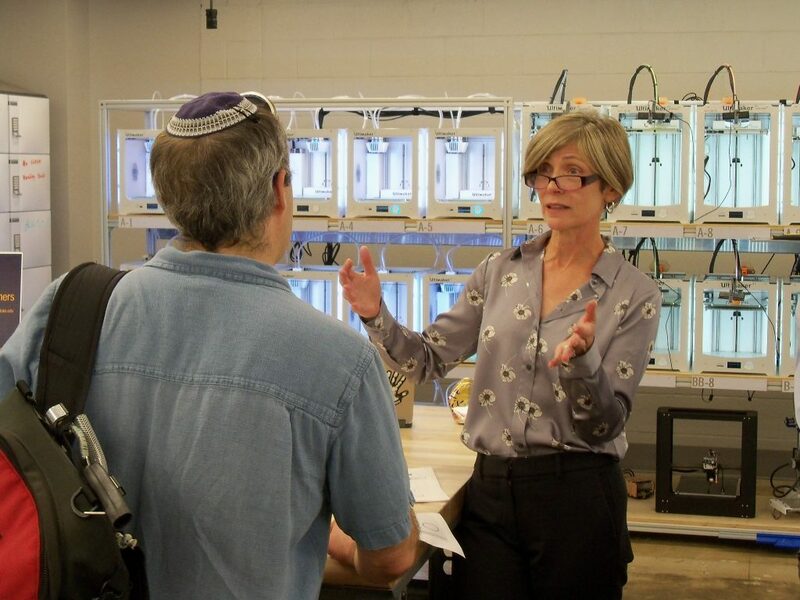 The university’s instructors and post-docs got demos of technology tools and services for teaching and research. 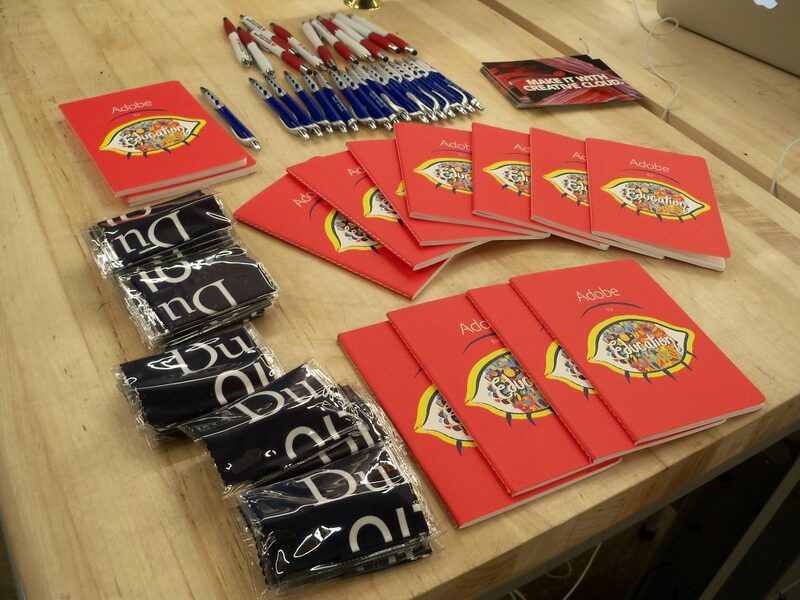 Everyone snacked on delicious food, marveled at the wall of 3D printers, and collected some excellent freebies. We announced a new mission: to help Duke students learn more, and enable more people to learn from Duke. 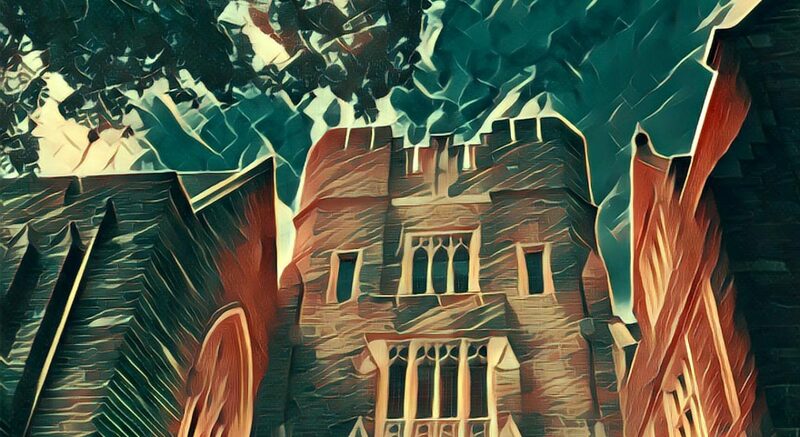 Matthew Rascoff, Duke’s Associate Vice Provost for Digital Education and Innovation, discussed Learning Innovation’s new mission and how it fits into the university’s overall strategy in a Q&A for our blog.